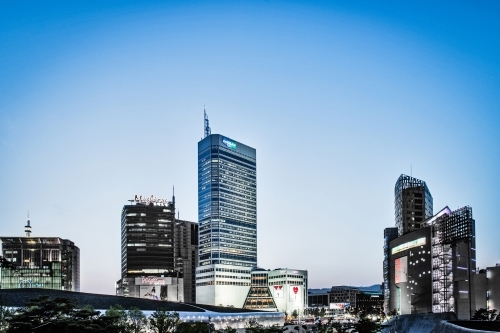 Doosan Industrial Vehicle, founded over 110 years ago, now employs over 43,000 people in 33 different countries and has annual revenues US$23.7 billion in 2011, making it one of the largest corporations in Korea Today, Doosan Industrial Vehicle, has a sales network of nearly 400 distributors in over 90 countries. 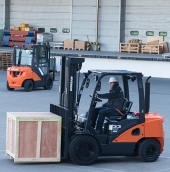 Doosan Industrial Vehicle is committed to innovation, the advancement of new technologies and development of talented individuals, across all sectors of the business. 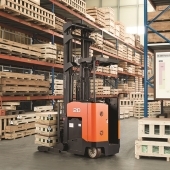 Over 100 Doosan models are available from 1.3 to 5.0 tons for electric models and 1.5 to 25.0 tons for IC models plus the new warehouse range of pallet trucks, stackers, order pickers and reach trucks. 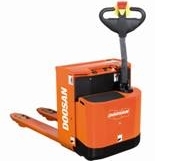 Your enquiry has been sent to Doosan Industrial Vehicle.